Manchester United defender heading for January exit? Italy international Matteo Darmian will reportedly leave Manchester United during the winter transfer window after failing to secure regular gametime in the first half of the season. The versatile defender was determined to leave the Red Devils during the summer but a move was blocked under the orders of Jose Mourinho, who has since been sacked. 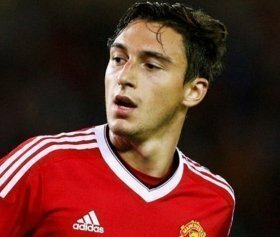 According to The Express, the United board are unlikely to block the departure of Darmian when the transfer window with a number of Serie A sides interested in pursuing him. Former admirers Juventus have cooled their interest in the former Torino man but the likes of Napoli, Inter Milan and Roma are said to hold the ambition of luring Darmian back to Italy. Darmian, who has four Premier League appearances this term, is currently valued at around £17m. However, clubs may prefer negotiating a lesser sum with United likely to want to offload the Italian at the earliest.